My hospital bag is packed and we are ready to go! This time around, thanks to Stowaway Cosmetics, I'm only packing the essentials: bb cream, concelear, mascara, eyeliner, cheek/lip rouge and lipstick (plus some brushes + eyeshadow not pictured). 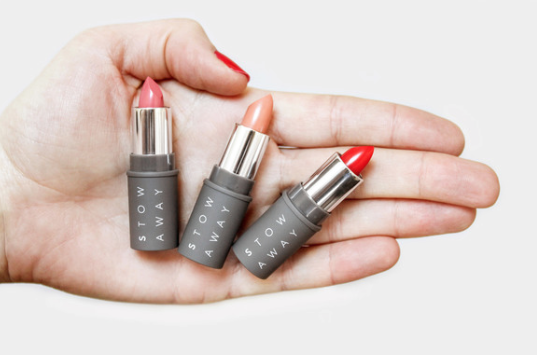 Available in a variety of shades, Stowaway eco-friendly, minimalist cosmetics come in just the 'right sizes', can easily fit in any wallet, purse or beauty bag and can be finished before expiration. This innovative concept allows you to save money while reducing waste. Their product formulas are simple, refined, and effective. 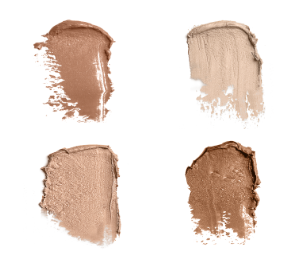 Loaded with lots of pigments and natural oils, all products are always paraben, phthalate, and cruelty-free. 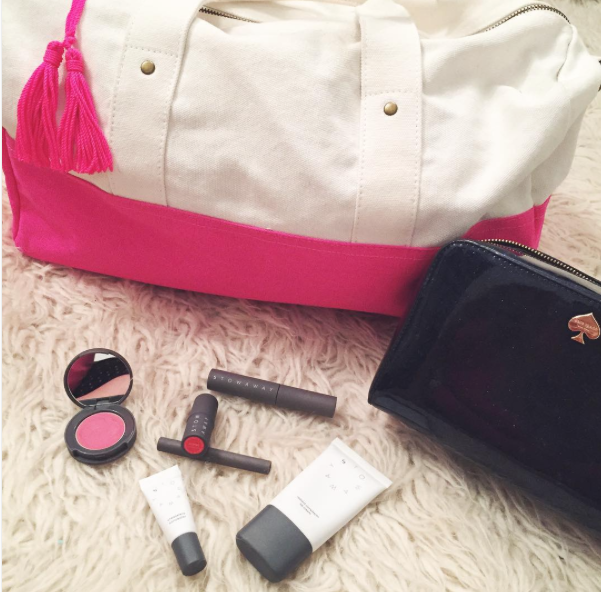 Order each products separately or try their entry line by ordering their Stowaway Kit. 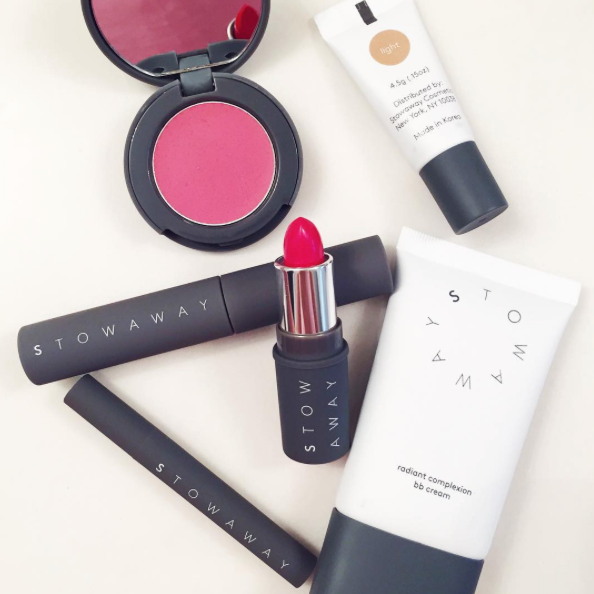 Featuring all six of Stowaway's 'right sized' products, the kit includes: Radiant Complexion BB Cream, Creaseless Concealer, Cheek & Lip Rouge, Creme Lipstick, Effortless Eyeliner, and Defined Lash Mascara. Introduce your baby to everyone! !